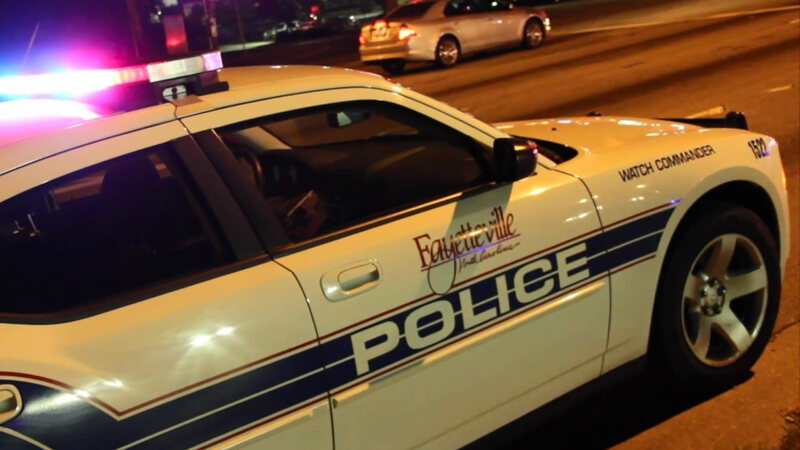 A Fayetteville police officer in training was involved in a wreck Sunday night that injured two people. According to officials, the officer was involved in a collision on Cedar Creek Road at the Fields Road intersection around 7:25 p.m.
Police say the officer began to slow down to perform a u-turn when a 1988 Ford F-150 traveling in the same direction was unable to slow down quick enough to stop. The F-150 struck the driver's side of the police vehicle. The driver of the F-150 and a juvenile passenger were not seriously injured and were transported to the Cape Fear Valley Medical Center for treatment. The officer and his trainer were not injured.